Find a Pianist / Singer for hire near you in minutes! Option 1. Enter your event location below & contact a Pianist / Singer directly! Option 2. Request multiple quotes from available Pianist / Singers Get Quotes! Option 3. Read information & advice on hiring Pianist / Singers Read Advice! WANT TO KNOW MORE ABOUT PIANO SINGERS? Read on for the most comprehensive guide to booking a Piano Singer, including how much a Piano Singer costs, exactly what they will do at your event, plus tips, advice and information to help make your event one to remember! 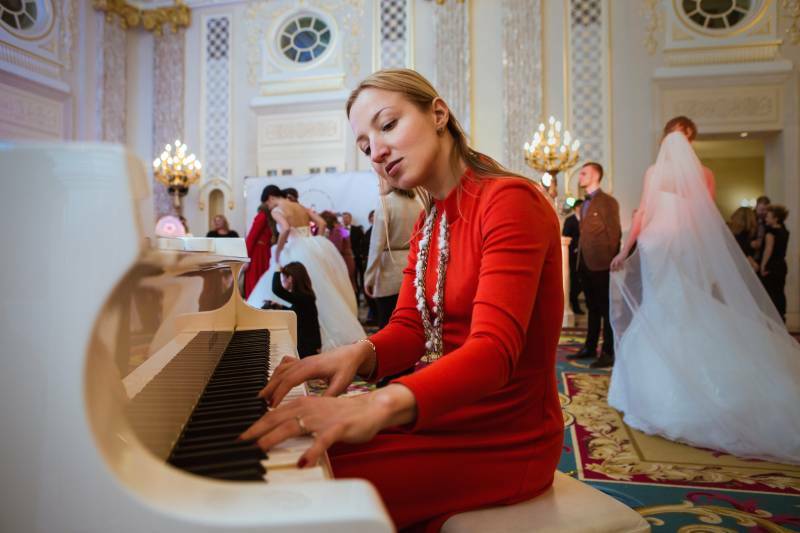 What exactly will a Piano Singer do at your event? Piano Singers can totally transform your event into a brash, colourful celebration, or alternatively, a gentle, low-key function. When you think of famous Piano Singers, the following may spring to mind: Elton John, John Lennon, Paul McCartney, Billy Joel, Diana Krall, Ray Charles, Coldplay, Jamie Cullum, Vanessa Carlton, John Legend and many more! Find a Pianist for hire with vocals, and you get a combination of classic Piano Singer songs and renditions of Pop hits, Dance songs, Rock tunes and much more! Mainly, a Piano Singer will entertain your audience with a fantastic live show that will put the wow factor into celebrations and impress your guests, whatever their entertainment tastes may be. What event types are Piano Singers hired for? When you think of all the Piano songs a singer could cover at a wedding ceremony, it really is colossal! When you hire a Pianist and Singer, they can sing romantic songs as the guests enter the ceremony hall, or as the bride walks down the aisle. Imagine a live Pianist Singer, singing something like Elton John’s ‘Daniel’, or Coldplay’s ‘Fix You!’ There won’t be a dry eye in the house! As the newlyweds are drinking champagne at the wedding drinks reception, you can hire a Piano Singer to play an uplifting greeting song such as Stevie Wonder’s ‘Signed, Sealed, Delivered’, or how about The Beatles ‘Hey Jude?!’. This is the type of universal song that everybody can sing along to at your wedding reception! 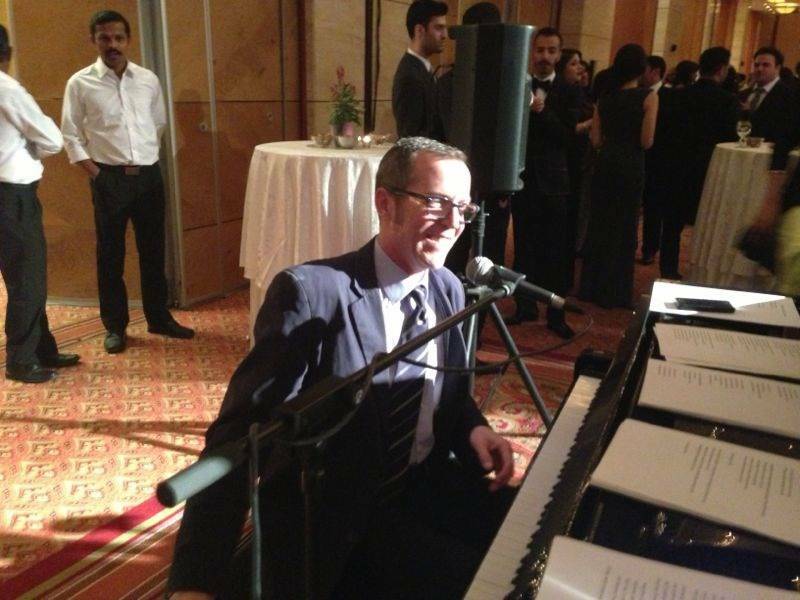 If you want some light entertainment for your wedding breakfast, then you might want to hire a Piano Singer! A Piano Singer will provide a great, relaxed atmosphere that your guests can comfortably socialise over the top of as the wedding cake is being cut and as in between the wedding speeches. You may want a wedding evening reception that your guests will remember for its laid-back, mellow ambiance? If this is the case, then you may want to search our directory for a Piano Singer to hire. A live Pianist can play beautiful piano chords whilst singing stripped down versions of the latest chart hits, as well as playing classic piano songs from the 50s, 60s, 70s 80s, 90s, 2000s and 2010s! Have you considered booking a Pianist with Vocals to wow your clients or co-workers at your corporate event? A solo Piano Singer can dazzle your crowd with cover versions of Rock, Pop, Soul, Jazz and ballads and can also play a few of their own, original songs! A Piano Singer is ideal if you want to hire a form of entertainment that can softly blend into the background at your work dinner party or Christmas party etc. Additionally, you may want to hire a Piano Singer for your trade show, shop opening or product launch to rally up a crowd! 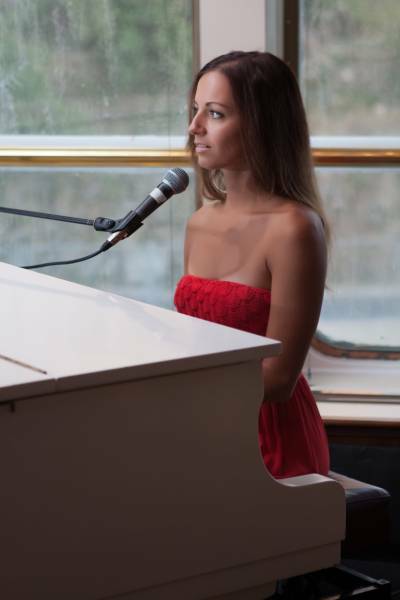 If you are looking for an entertainer for a pub, restaurant, festival, bar or cruise ship then hiring a Piano Singer will be great value for money! When you hire a Piano Singer, you can’t lose! If you’re having a birthday party, then you may want to search our directory for the best Piano Singers for hire. A Piano Singer can play various covers of famous songs that will send shivers up your spine as well as rocking the party too! Hiring a Pianist is essentially the same as hiring a Keyboardist in terms of what songs can be covered, the main difference is the size of the instrument. A proper, upright piano will take up a fair amount of space and will have to stay put for all of the performance, whereas a keyboard is more mobile and can be moved from room to room at your party, so all of your guests can get to listen to some piano based tunes! A Piano Singer would be an excellent choice of hired entertainment at a cocktail party where they can tinkle the ivories to soft piano ballads as your guests sip on exotic cocktails! How much do Piano Singers cost to hire? Our simple to use entertainment directory allows you to firstly search for the best Piano Singers who are local (or travel to your area) and then via the contact form you may message them directly to enquire for a no obligation quote to perform at your event. Some acts will also add a rough price guide to their profile for your convenience. What are the usual set formats and performance lengths for Piano Singers? A Piano Singer can tailor their performance times to suit you and your event, however, on average a professional Piano Singer will perform for two 45 minutes sets. How much space will a Piano Singers need at your event? A concert grand piano will be roughly 7’x5” in depth, so as long as you have room for that size, then you’ll be fine. A keyboard will take up even less space! What equipment and set up requirements do Piano Singers need? As with most artists who sign up to Entertainersworldwide.com, a Piano Singer will provide most of their own equipment. This should include the piano/keyboard and microphone. You may want to enquire if an artist needs a PA to amplify their sound, in which case we would advise to use our easy to use messaging service to find out. We do ask that each performer gets a backstage area in which they can prepare for the performance ahead. If your venue does not have a backstage area, then we kindly ask that you enquire with the venue to seek an alternative space in which the performer can comfortably get ready to entertain. How can you find and book a Piano Singer with Entertainersworldwide.com? WANT TO RECEIVE A RANGE OF QUOTES FROM Pianist / Singers?